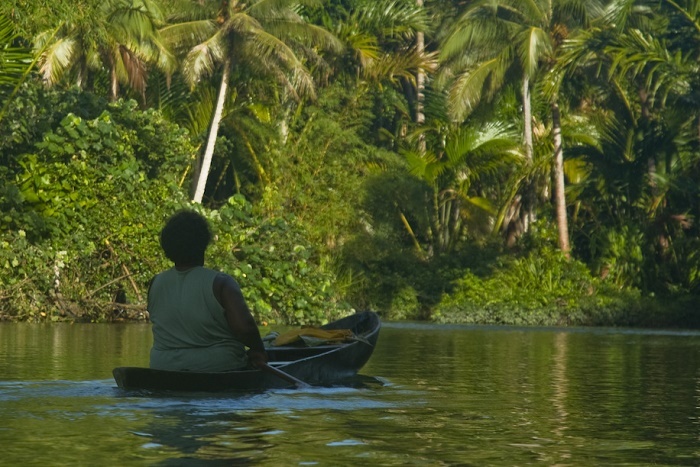 Lau Lagoon is a 35 km (22 mi) lagoon which contains more than 60 artificial islands, and it is located on the northeast coast of Malaita Island, of the Pacific island nation of the Solomon Islands. The artificial islands are built on a reef, and the Lagoon is home to a number of different villages, the largest of which is Forau. As it is the largest with around 1,500 inhabitants, the number can increase due to the important local feasts or religious holidays, such as Christmas and Easter. 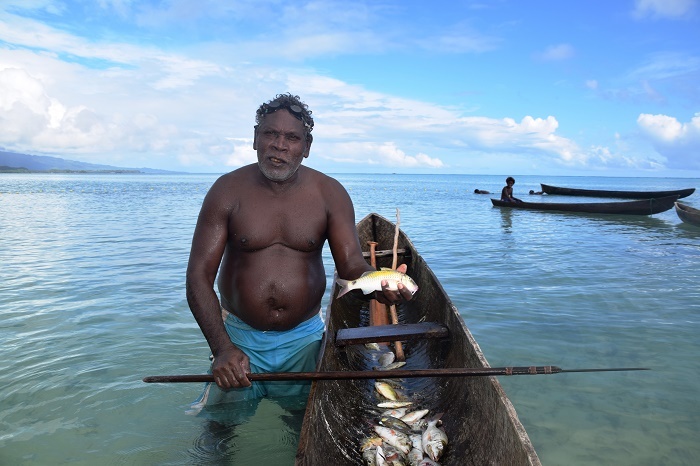 The people there call themselves “salt-water people”, as opposite for “bush people” who are the inhabitants living in the interior of the bigger island. Because of that there were conflicts between these people, and building the artificial islands allowed some sort of protection against attacks. These islands were formed literally one rock at a time. 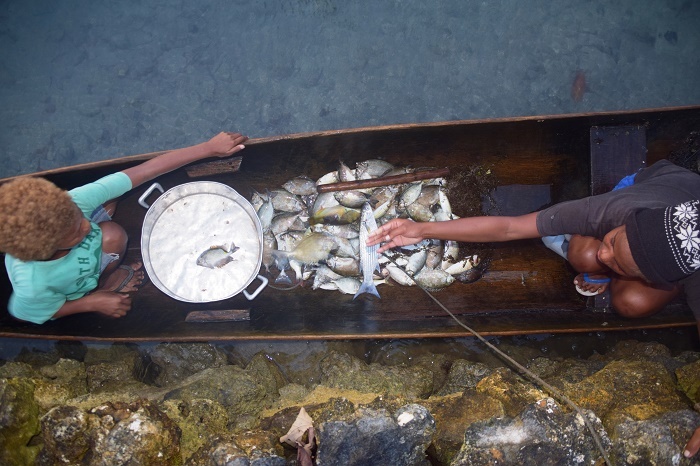 A family would take their canoe out to the reef which protects the lagoon and then dive for rocks, bring them to the surface and then return to the selected site and drop the rocks into the water. 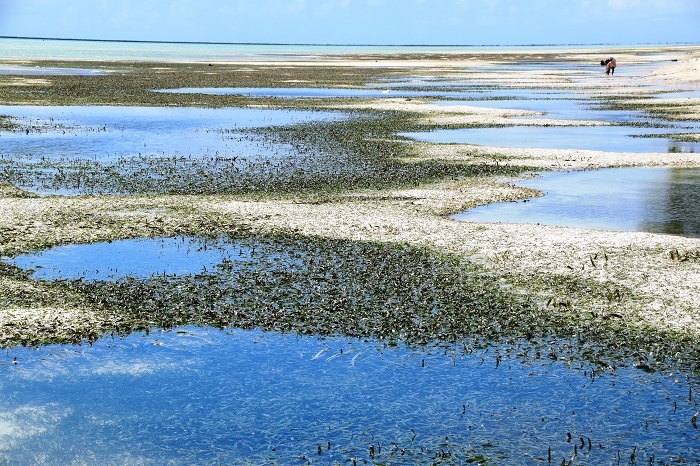 Living on the reef was also healthier as the mosquitoes, which infested the coastal swamps, were not found on the reef islands. 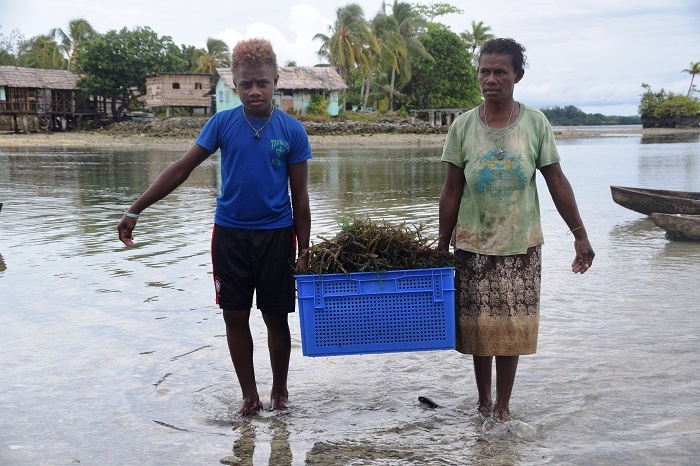 The agriculture is really important for the people of the main island, as they are growing swamp taro, sweet potato and yam, as well as papaya, banana, sugar cane, coconut and green vegetables. The other important part of their lives is of course, the fishing. 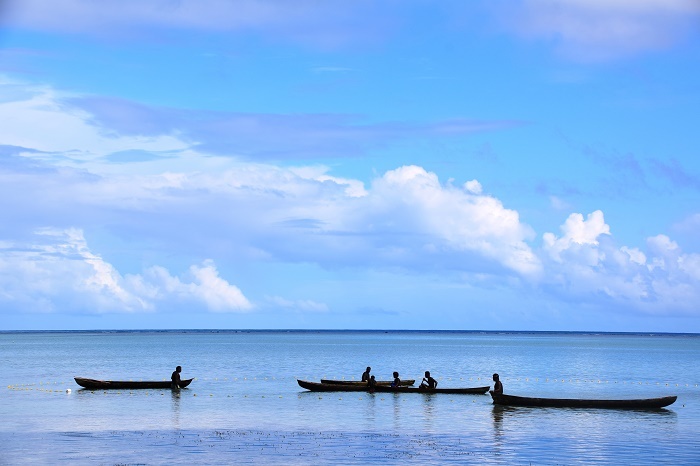 As there is no formal accommodation on the islands, still one can always asks one of the chiefs of the islands whether if it is possible to stay with them on the island. Still, getting there could be tricky, but you can learn a lot from talking with the locals.